Mix mayonnaise and garlic in small bowl. Spread mixture evenly over tortillas. 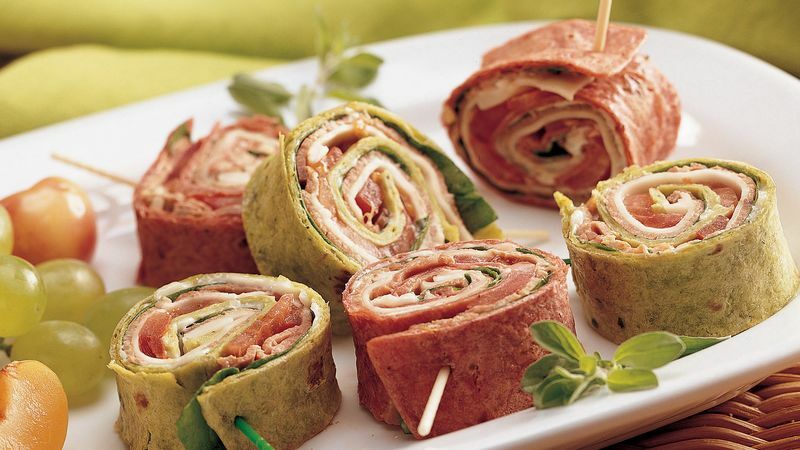 Top tortillas with layers of spinach, beef, cheese and tomato; roll up tightly. Cut each tortilla into 12 pieces; secure with toothpicks. Serve immediately, or refrigerate until serving. Seed the tomato before slicing so it is not too watery.